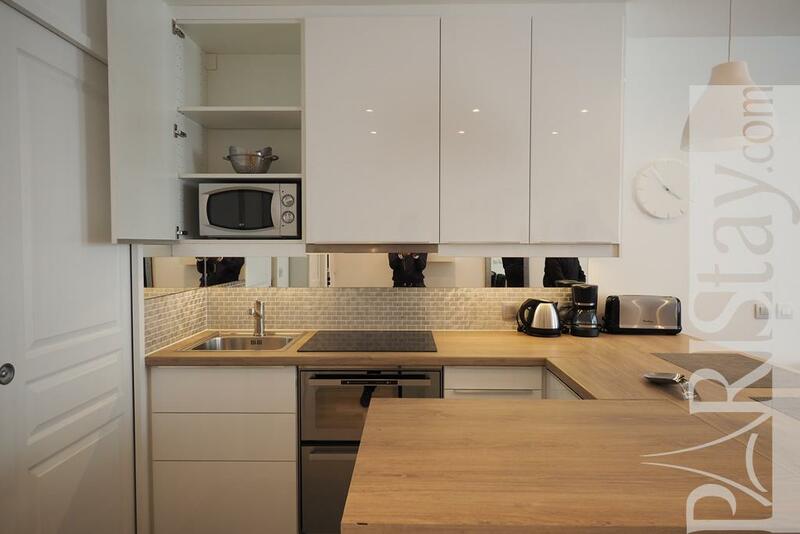 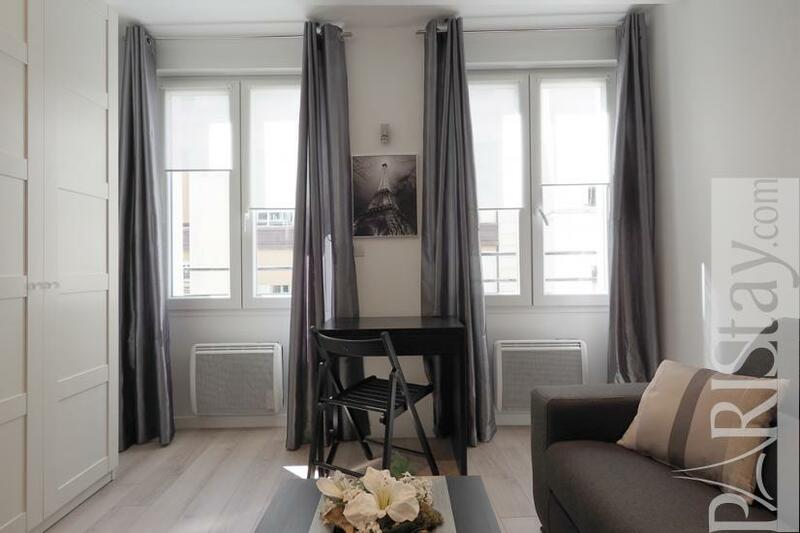 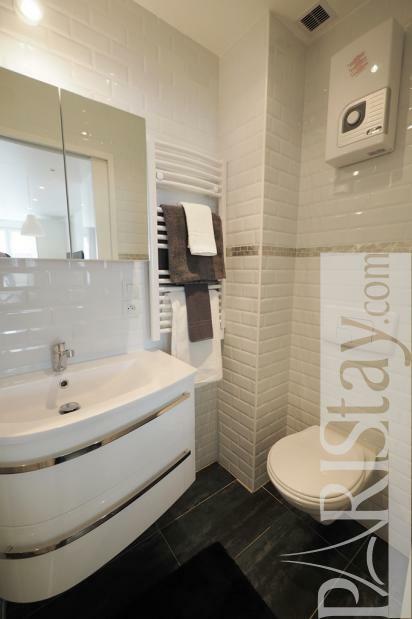 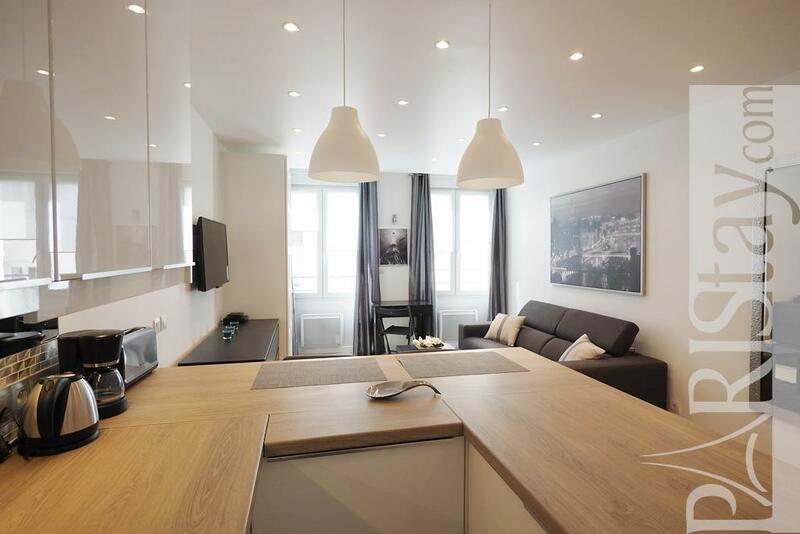 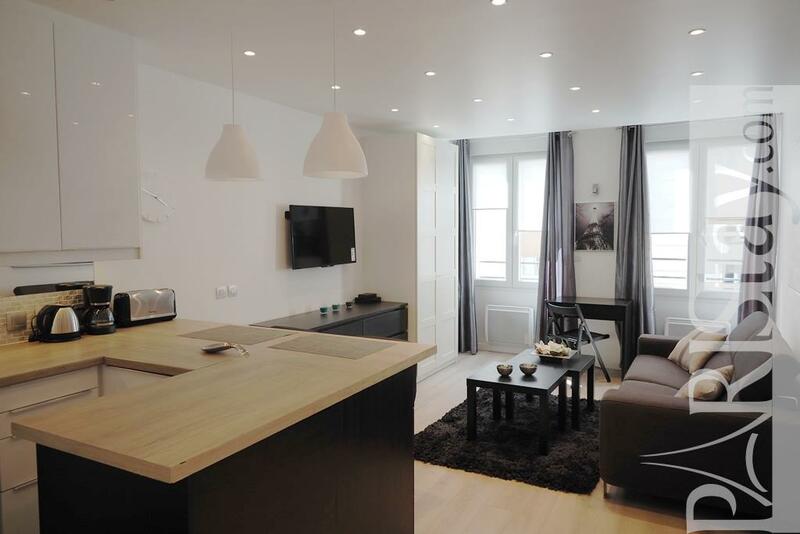 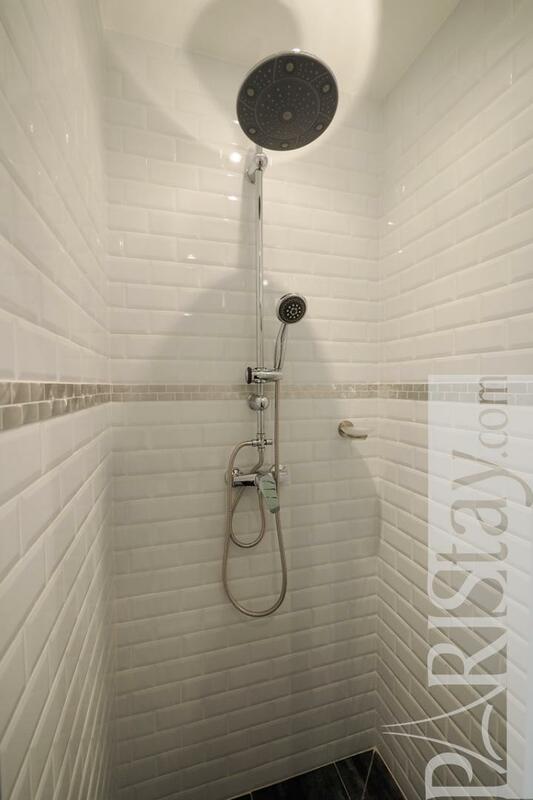 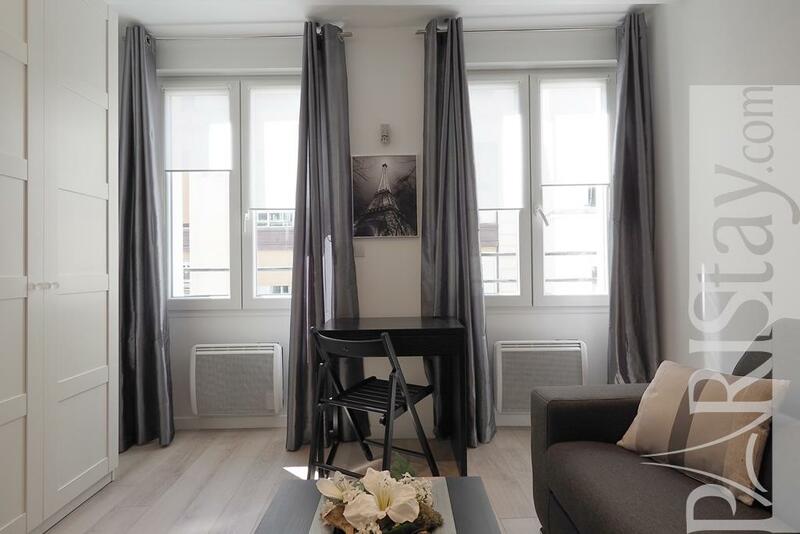 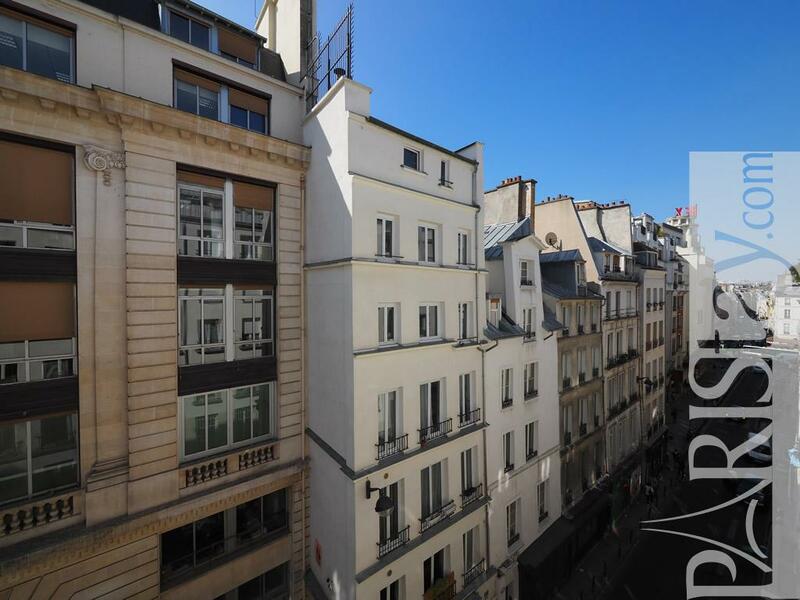 Charming Paris Studio flat rental located close to Grands Boulevard, at the height of the great Rex cinema, in the heart of the lively and historic Sentier district. 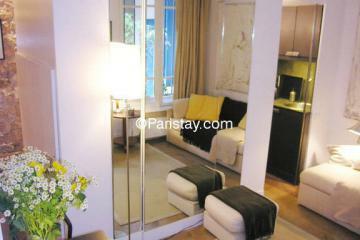 A perfect opportunity to easily enjoy all the activities that offers the City of Lights. 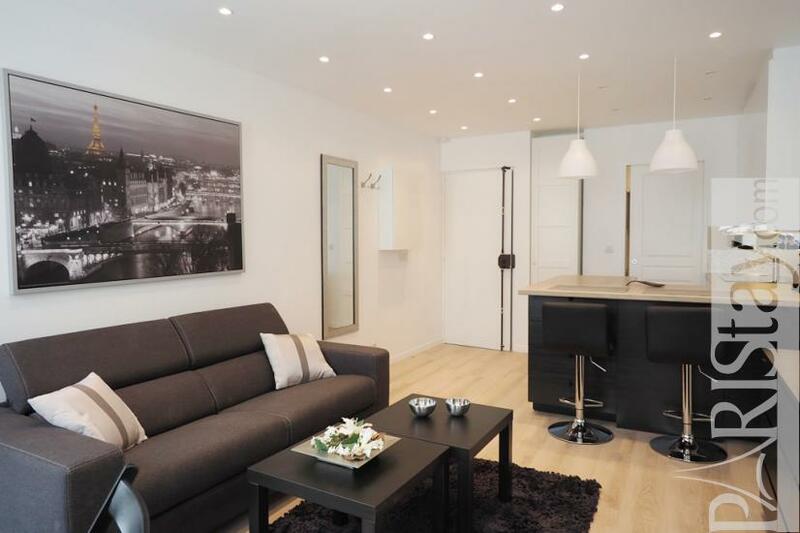 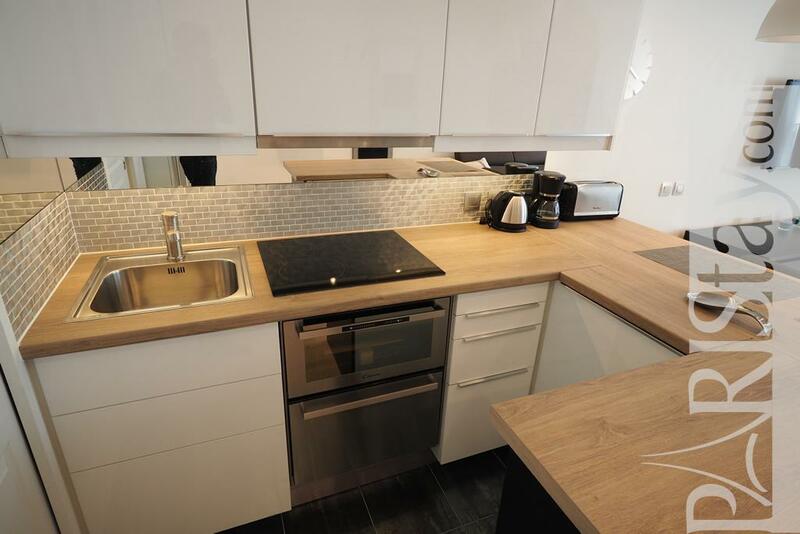 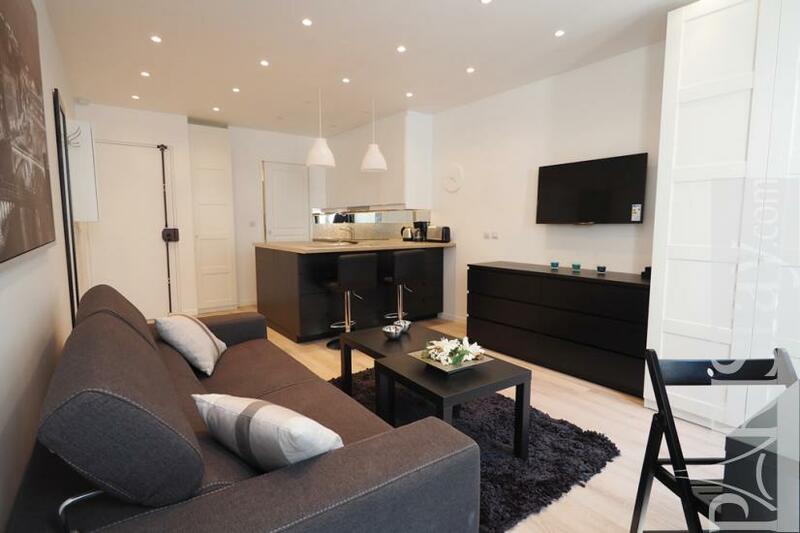 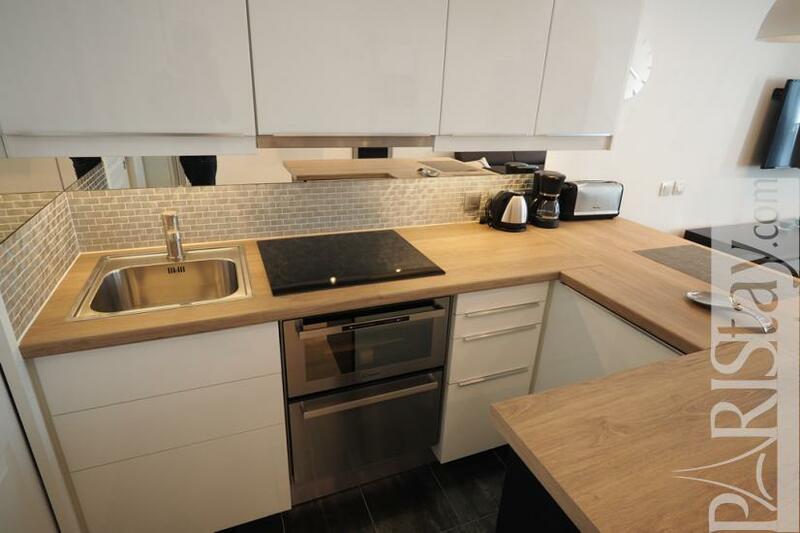 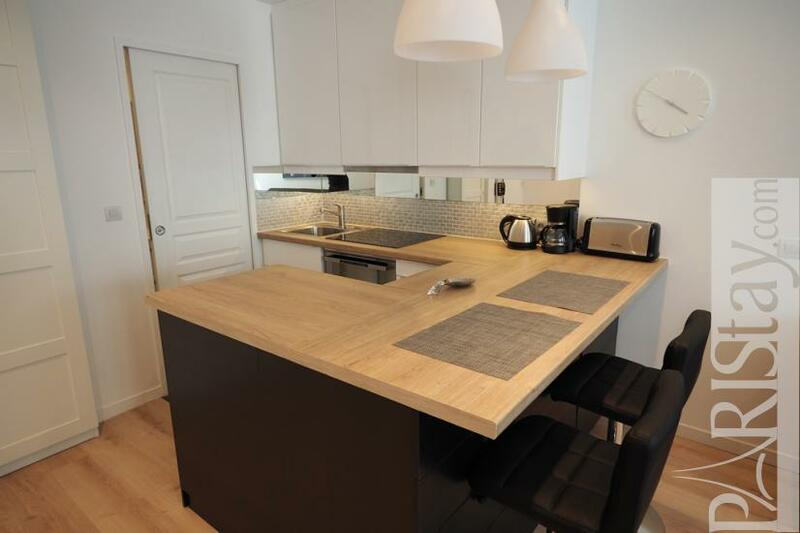 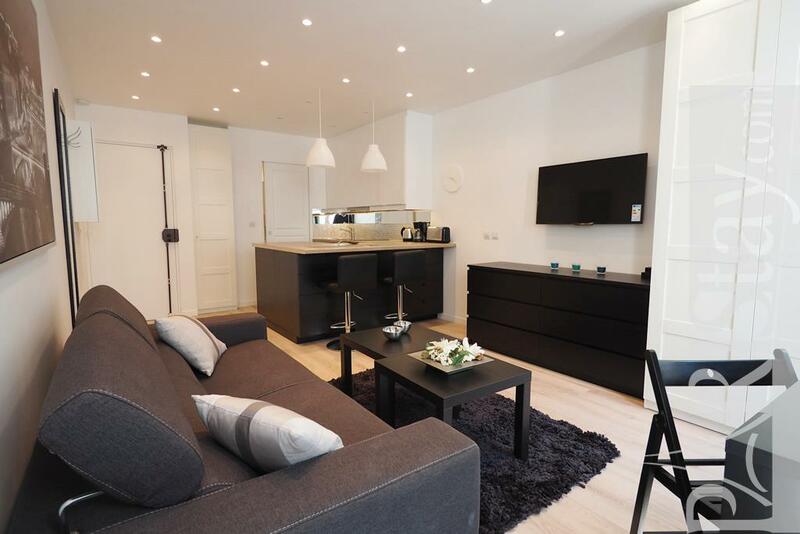 Everything is quickly accessible on foot or by using convenient transportation links or the Velib bike rental. 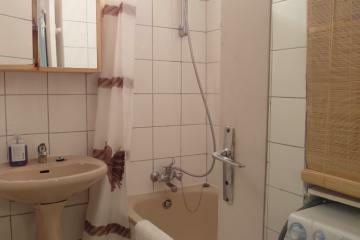 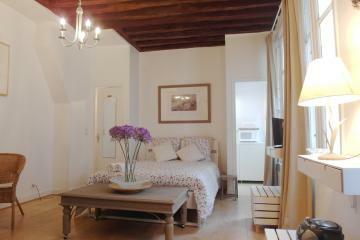 he apartement is located in a quiet street, in a typical building that has been renovated, 4th floor with no elevator. 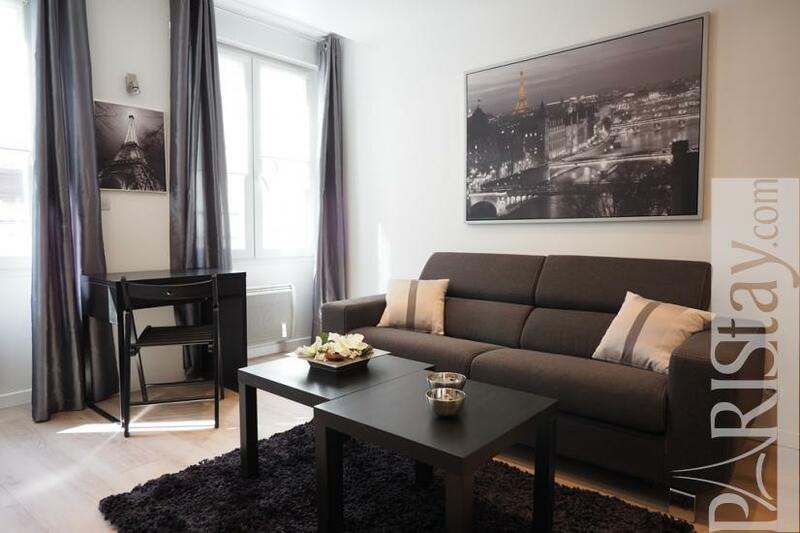 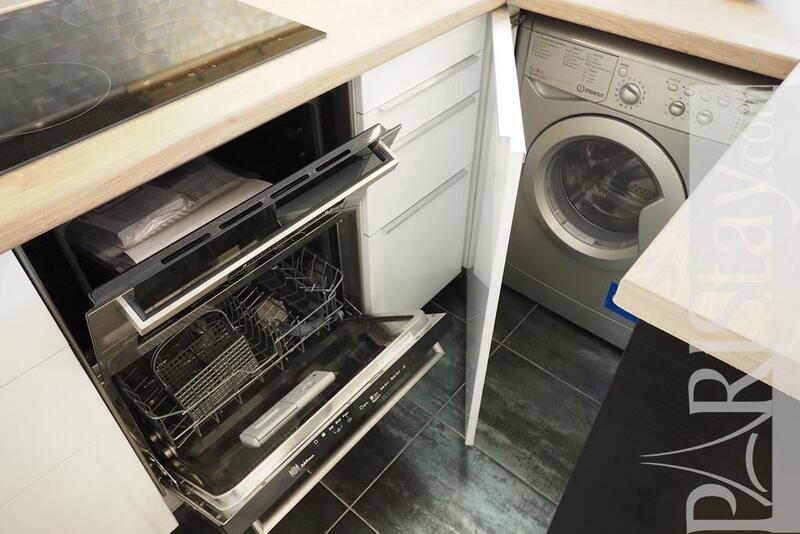 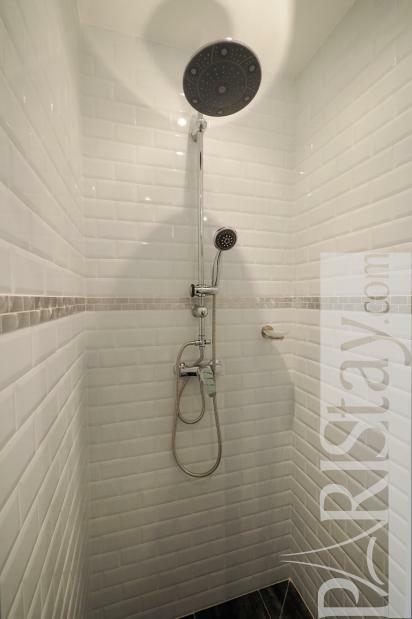 It has been totally renovated, equipped and ecorated in a modern and contemporary spirit and offers all that useful and enjoyable for a long term stay in Paris. 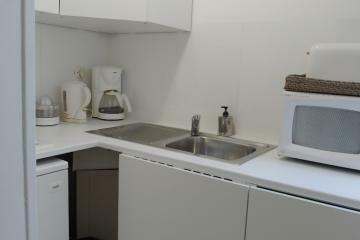 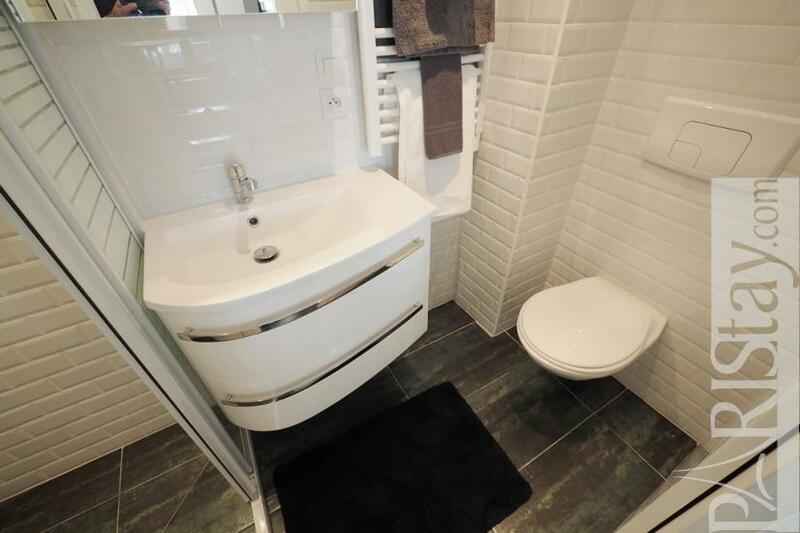 Spacious, bright ans sunny living room with a comfortable sofa bed, fully equipped kitchen, convenient shower room with WC. 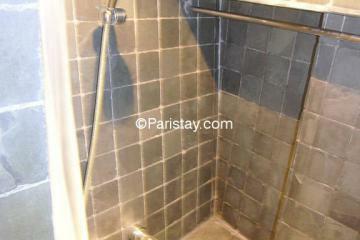 Enjoy your stay in Paris! 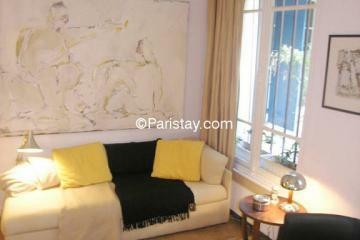 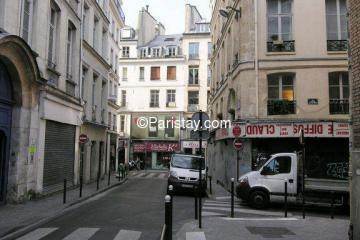 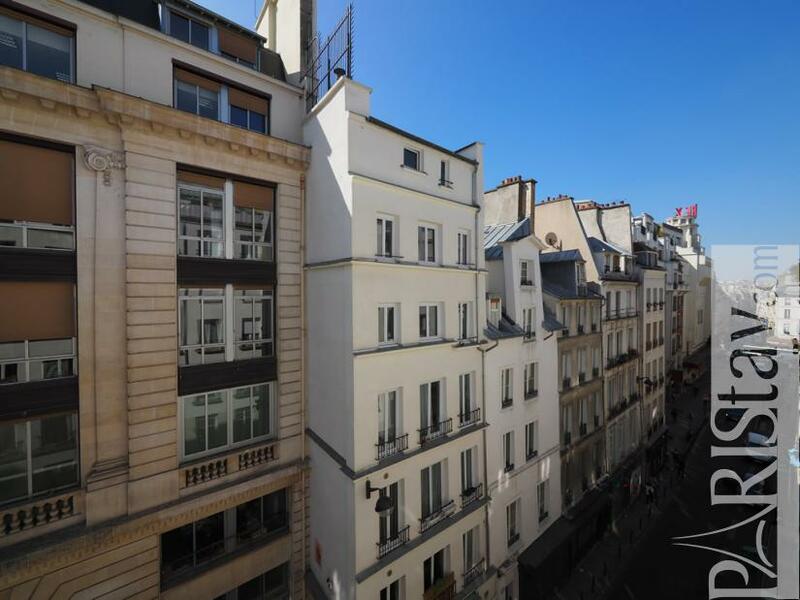 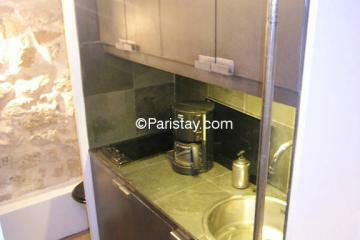 1880's Building, 4 rd floor, without Lift, Studio Appartement, furnished, Approx: 29m² / 312 Sq.Ft.